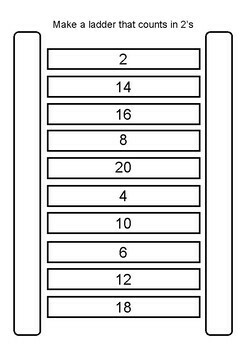 Students order their 2, 5 and 10 counting patterns into a ladder. Work from top to bottom or bottom to top. Students are required to cut and glue the pieces in the correct order.